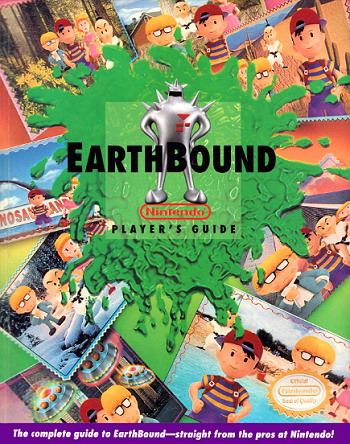 When I reluctantly sold my Earthbound guide a few years ago it still had the scratch and sniff cards still attached. It was still in the hands of the original owner too when sold for $100. It will be a good day when I find another guide. Strategy guides need more love. Most people who collect guides go the pennied out route at places like Gamestop and Best Buy. When the collectors are basically getting guides for free, it's hard to imagine anyone will pay much of anything at all for any random guide from the past 2 generations. The real guide collecting scene is with SNES and earlier guides as mentioned. Most were not in stores and had to be ordered by mail. Uh, final fantasy vii Versus strategy guide is still worth far from "nothing.". Still goes for around $100 if it's in nice condition with the poster intact. You missed a good opportunity to highlight a few strategy guides that routinely break the $75 mark. I've collected guides for years, and while most have dipped down some, many of the standard heavier hitters remain in a respectably collectible price range. Awesome article! I've noticed the guides published by DoubleJump books tend to be quite pricey after a few years. Heck, the strategy guide for Shin Megami Tensei Nocturne is worth TWICE what the game sells for, and its getting more expensive by the day. Does anyone know if there's a resource for pricing Strategy Guides, other than checking eBay's completed sales? I've got a lot of guides, and while I've found out that some are valuable while others are not worth much at all, there's still some that I can't find values for at all. Secondly, does anyone know of a website, forums, etc. that deals with rare / hard-to-find collectibles? I mean things like posters, pre-order gifts, signage, etc. I haven't been able to find anything like that. @shadow_hado - Thanks for your questions and comments. We have plans to add strategy guide pricing to PriceCharting.com at some point, but it has not been one of the more popular features users have requested. If you would like this feature or others, please let us know. Ok so How much are these worth?... i have old playstaion guides for final fantasy and etc... are they worth money? are they like comics? Some strategy guides are worth quite a bit. I've personally sold some for $40-50. But there are also quite a few that sell for $0.50. Unfortunately I can't give a blanket statement that all are worth something but there are definitely quite a few valuable strategy guides. Official Nintendo Power Pikmin 2 Strategy guides are super hard to find especially in good shape. I would love to a Rarity/Price chart for official guides of this type! Is there any site for a price list of old school game guides ?